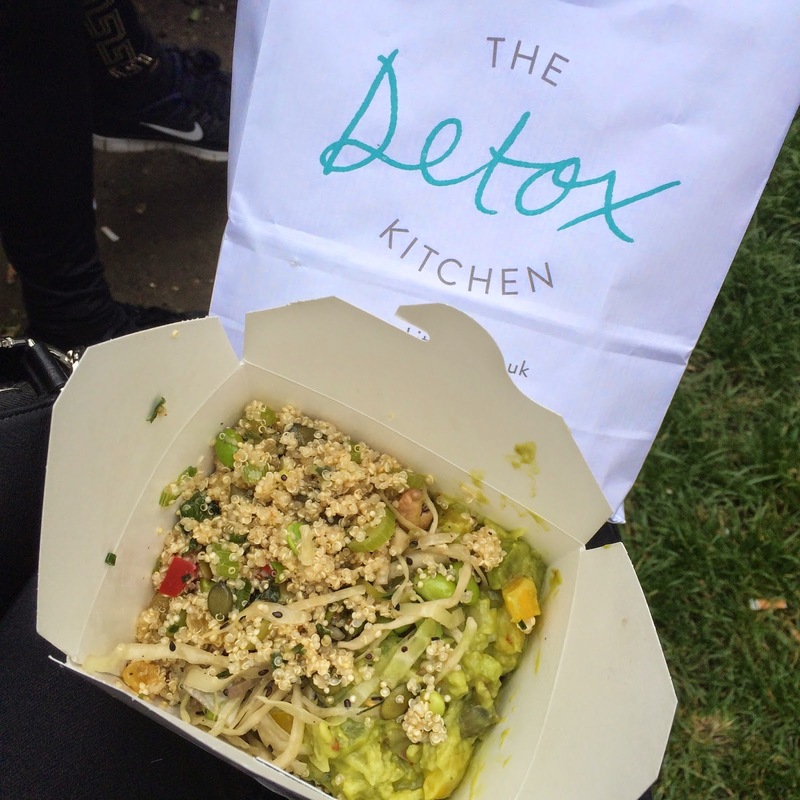 I had wanted to try out the Detox Kitchen after seeing incredible detox kitchen dishes numerous times on Instagram. 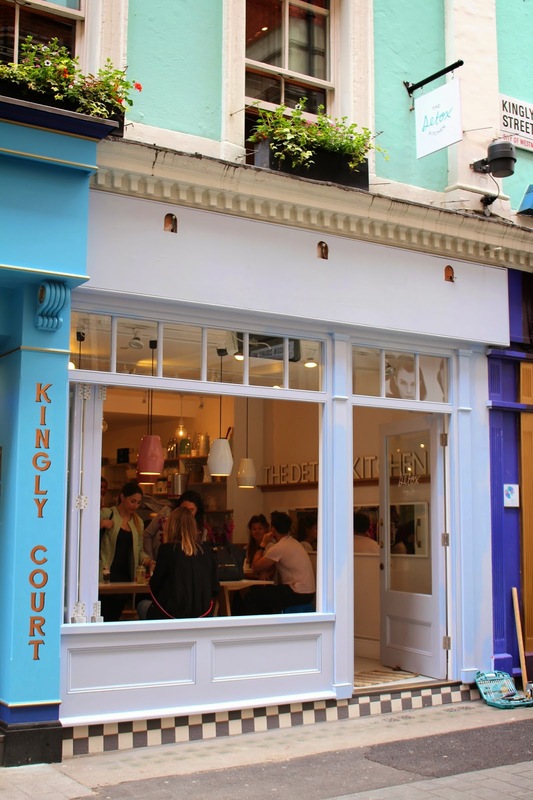 The Detox Kitchen is a tiny little deli on Kingly Street (there's also one in Harvey Nichols, top floor), only serving nutritious takeaway. If you know me a bit you know I love these types of places, so I was delighted when I finally had the chance to try it out. The Detox Kitchen actually started as a detox program which includes wholesome meals, snacks and cold pressed juices. While I'd love to try it out, I'm still a student on a budget so luckily the next best thing are the delis where you can choose from different dishes to make a perfect lunch box. The place is really tiny and busy! You can pick some juices and snacks from the fridge if you're in a hurry. Otherwise you can order everything fresh! I took my food to the park to enjoy in the sun. It was three salads: one with quinoa, one avocado and bell pepper salad and one with cabbage and cashews. Really tasty, fresh and filling. Instead of going to Pret for lunch, why not pick up a much more nutritional meal from this cute little place? It's just behind Regent's Street and Liberty so it's also perfect to take a little juice-break from shopping :) find all details here.